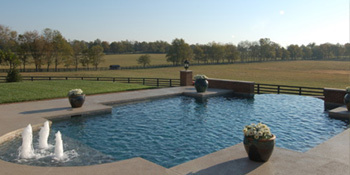 Mid American Gunite Pools offers a full service complete custom design and construction of your pool. All of our custom gunite swimming pools are designed and installed by experienced masons. Once your swimming pool or spa has been completed, you can count on Mid American Gunite Pools to make sure it continues to give you many years of dependable use. Mid American Pools & Service custom designs and builds inground swimming pools and spas made of concrete, also referred to as Gunite. Our concrete gunite pools provides the highest durability possible for pool construction, while also providing flexibility for custom design. 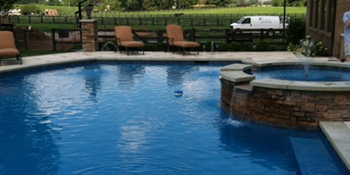 Regardless if you are a home owner or business looking for an outdoor or indoor swimming pool, lap pool, spa, or repairs and renovation, Mid American is your first choice for quality and service. If you are interested in having a custom gunite pool, maintenance or pool renovation, please contact us today to speak with one of our associates.